One of his best flies was a derivation of an old pattern called the Old Grey Mare. The OGM is a very early wet fly which apparently had quite a following. The Western Coachman first tied in 1934, became his signature pattern. 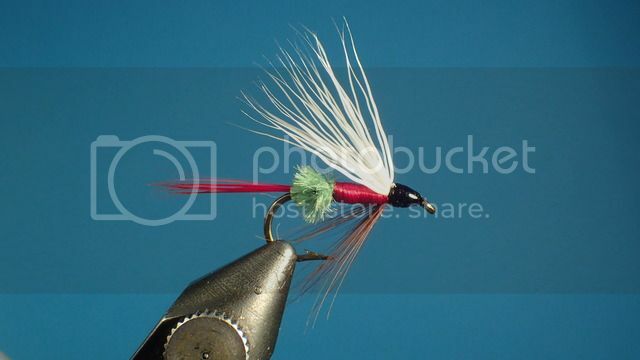 The wing is tied with a more coarse hair than bucktail, using deer body hair. Best fished upstream, the fly wouldn’t float, but wouldn’t sink much either. On the swing it wouldn’t leave a wake. He sold vast amounts of this fly. These flies are tied on 1950s era hooks.